Forget about grey, formal workshops where you get yet another lecture, flooding you with information you could have found by yourself. Our workshops are lively, humane and memorable. In the center of our attention are people and their experience. The times when we needed teachers to provide us with information from their field of expertise are gone. The most efficient way of acquiring new skill is through direct experience. That is why we strive to create an environment where people can experiment, step out of the comfort zone, commit mistakes and learn from experience. We do not use overly complicated theoretical models, but hands-on principles which enable you to find your own way to expand your skills. Our goal is to offer you a positive, inspirational experience so that you can learn new ways of "doing" and "being" in the workplace. 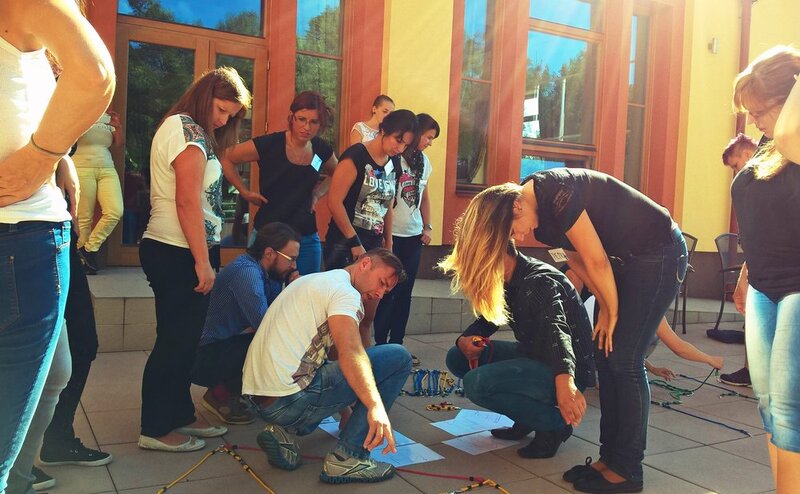 When people have fun while learning, they are more open to insights and new points of view. The best source of learning are not answers that somebody has given you, but questions that we ask ourselves. That is why we motivate individuals and teams to take time for self-reflection, to increase their awareness of their own strengths and weaknesses, and also to cultivate emotional intelligence and empathy towards others - skills critical for both personal and professional growth.